Kid Tees $13.99, Squash Blossom Necklace $16.99, Maternity Dress $28.99! 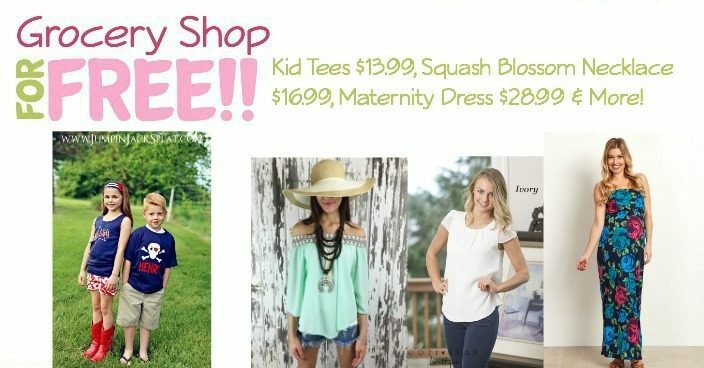 You are here: Home / Great Deals / Kid Tees $13.99, Squash Blossom Necklace $16.99, Maternity Dress $28.99! Relax in this cozy designer inspired romper featuring a loose fit, soft fabric, and a slight v-neck design. This romper is the perfect way to spend a lazy afternoon, or dress it up with heels and a belt for a high fashion trendy look! Be bold and rock this artistic look! A truly fantastic vintage inspired piece! 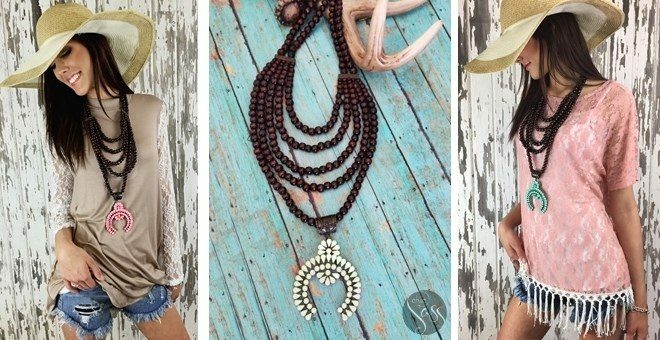 Once you put this necklace on, you will be amazing at how it will make your entire outfit come to life! This high quality piece has such charm that it will draw attention from everyone asking where they can get it! You all love our Addison Tanks, now they’re available as tops! They feature an ADORABLE tulip style sleeve and a super flattering pleated neckline. Our new style is LINED making these perfect for any outfit! This bright and bold maternity dress will add a splash of color to your wardrobe this season. A strapless maternity dress will keep you cool in warm weather, while a maxi style will beautifully show off your bump. Wear strappy sandals and a statement necklace to complete this gorgeous look. A rose printed strapless maternity maxi dress. Rounded neckline. Double lined in bust area. Cinched under bust. 49 inches from high point of shoulder to hem. Measured from Small. Length increases by one inch per size. Red, White & Cute! 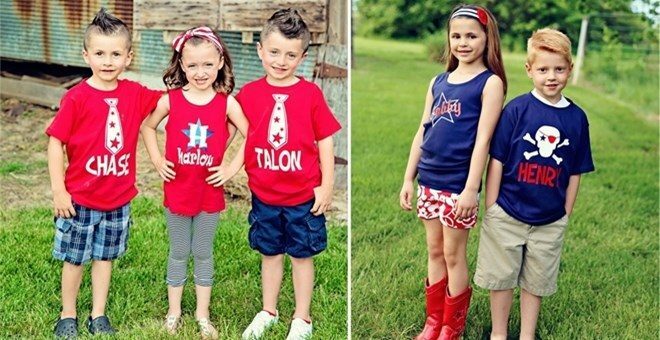 Nothing is cuter than a personalized tee or tank for your little one to celebrate our country!! All brands of shirts run differently in sizing so we highly recommend measuring a current shirt of your child to make sure you get the right size! If in between sizes we recommend ordering a size up. Machine wash inside out, tumble dry low. Do not iron on lettering. Boy lettering is printed in all capital letters due to the font. All boy shirts are printed on navy or red t-shirts as shown. Lettering on shirts include white or white & red depending on shirt option. Models: ‘Chase, Teddy & Talon” are wearing a 6y and ‘Henry’ is wearing a Youth Small. Girl lettering can be printed lowercase or capital so please enter name as desired. All Girl shirts are printed on red or navy tank tops as shown.